A chemical free system for the control of odour, bacteria and mould. A chemical free system for the control of odour, bacteria, viruses, mould, biofilm and indoor air pollution. 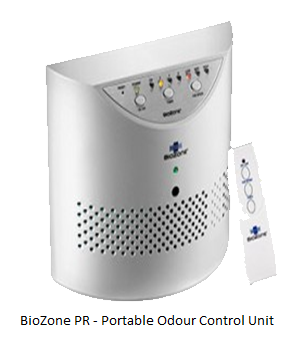 The BioZone Air and Surface Purifying equipment is a highly effective, chemical free system that minimises the growth of bacteria, viruses and mould as well as lowering the harmful effects of fumes, volatile organic compounds (VOCs), indoor air pollution and other airborne impurities. 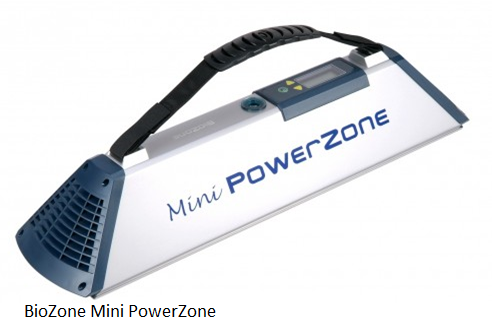 How does the BioZone equipment work? The BioZone Air and Surface Purifying equipment draws in air that passes through a cleaning chamber containing a photoplasma / UV lamp. Freshly sanitised air is emitted continuously without creating secondary pollution, such as, masking fragrance chemicals. Using oxygen and water in the air to create a mix of positive and negative ions, hydroxl radicals, oxygen singlets (O) and minimal ozone. Please be assure the minimal ozone level emitted by the BioZone PR and BioZone AirCare equipment is considered safe and intended for occupied areas. How does Photoplasma sanitise air and surfaces? Photoplasma can be found naturally and is often referred to as the “detergent” of the Earth's atmosphere because of its ability to react with many harmful pollutants. Using special lamps and gas to create photoplasma, that is capable of destroying odours, bacteria, viruses, mould and breaking down unwanted airborne and surface chemicals and compounds. Photoplasma - Highly energised atoms, molecules, radicals and free electrons to create an oxidation and sanitising effect. Deep UV Light - Sanitising germicidal light, killing airborne bacteria and viruses. Photo Catalytic Oxidation - Hydroxl radicals oxidise bacteria pollutants and break down VOCs and chemical pollutants (for example, nicotine, ammonia, formaldehyde etc.). Negative Ions - Charged ions attract positive contaminated air particles, weighing them down to remove from the air. 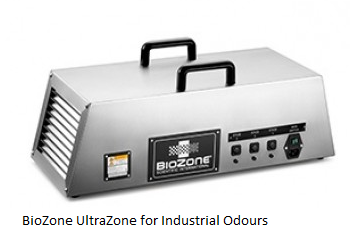 BioZone Mini PowerZone and BioZone UltraZone - Highly reactive 03 molecules attach to odour causing pollutants and break down bacteria cell membranes. A very low allergy method of odour control as there are no chemicals, filters or fragrances. Healthier home and working environment. Easily maintained, economical and quiet operation. A variety of BioZone Air and Surface Purifiers are available to suit all applications ranging from the Home / Office / Care Facilities to large industrial installations.